A small village of 24 household under Kiphire district is a place inhabited by Yimchungers. It is about 95 kilometres from Pungro town and about 10 km from Mimi village. 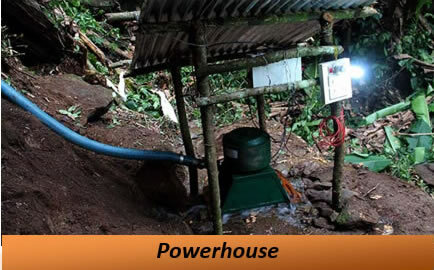 The villagers are among the most under privileged in the area and are still without road and grid connectivity. Before the hydroger was installed, the villagers depended only on pine sticks as a means of lighting at night as they could not effort to buy candles and kerosene. Moreover to buy their basic needs, they had to walk one whole day to reach Pungro which is the nearest town. 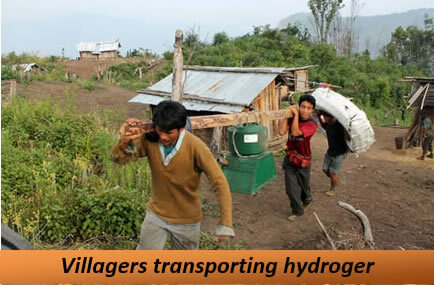 “Hydroger has brought smiles and hope for the community, which will go down in the history of Kaha people” said G.B. Kaha. Earlier the communities were fully dependent on farming, hunting and forest produce, but now they have started different livelihood activities like handicrafts basketry and weaving, thus creating different pathways for income generation. Mention may be made that the areas around the village is a biodiversity hot spot for Orchids of various species. The villagers have passed a resolution for their conservation and a sum of Rs.10,000/- as fine is imposed on the perpetrators who decide to violate the accepted conservation norms.